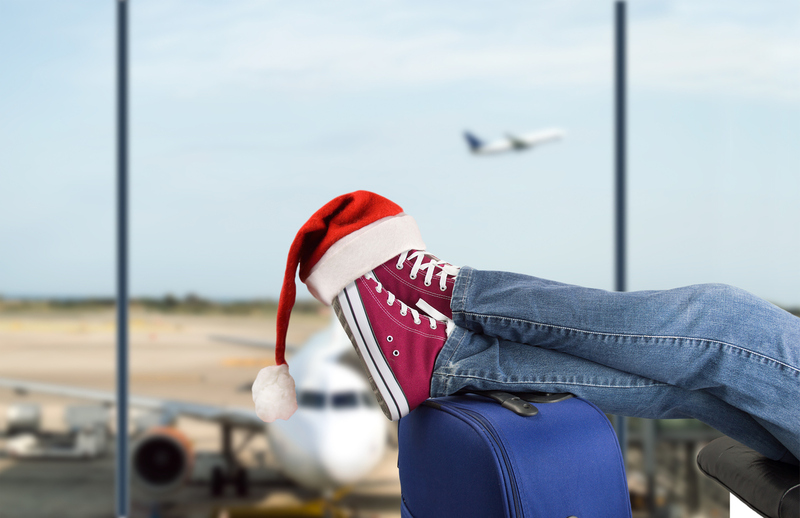 Do you want to travel more this Christmas, but your budget is holding you back? You want to get away form the cold and have a sunny holiday during the festivities? Don’t let a lack of finances get in the way of creating new and memorable experiences! There are lots of ways for you to reduce travelling costs without having to compromise on the quality of your trip. One of the most common reasons people say they can’t afford to travel is because the “flights are too expensive”. And yes, sometimes the price of flights are on the verge of extortion, but if you can’t find more affordable flights, it’s likely to be because you’re looking at all the wrong places. You’ve got to shop around for cheap flights to find the best deals. Going straight to your favourite airline website and booking directly from it without even checking other sources is a rookie mistake. What you should be doing is comparing flight prices, so you can see the best deals on flights including things like recommended times to travel and possible discounts on returns etc. If you want to experience as much of the world as possible, but you’re on a tight budget, you might want to avoid the “big spender” destinations such as Las Vegas, Hong Kong, Tokyo and so on. Expensive holiday destinations will make budgeting increasingly tricky, especially when you’re paying £100+ per night. Instead, think about more affordable holiday destinations that offer just as much sunshine and excitement, but at a lower cost. A few of the most affordable destinations include Costa del Sol in Spain, Budapest in Hungary and Bali in Indonesia to name but a few. Not everyone wants to compromise on quality when it comes to accommodation, and that’s okay. But if you’re looking to cut back on travel costs and don’t mind giving up a little bit of luxury, in exchange for somewhere to rest your head at night, you’ve got to consider cheaper accommodation. First, you might want to check online for cheap hotels. You might get lucky and find something amazing and within your budget. But if you’re struggling, you can also stay in a hostel. Hostels offer lower prices, and many of them even include free breakfast, which is fantastic if you’re looking for a wallet-friendly alternative. If you’re a little more on the adventurous side, you might be open to camping or renting a caravan. Are you a whizz in the kitchen? Save money by skipping the expensive restaurants and cooking your own food. If you’re travelling for a week or two, you might end up spending more than you anticipated on daily meals. Of course, there’s nothing wrong with treating yourself to a nice dinner on holiday, but if you’re determined to cut back, you’ve got to cook for yourself! You can even bring food with you and shop for groceries at the local supermarket. Cooking for yourself is slightly easier if you’re camping or renting an apartment with a group of friends. The cost of renting an apartment is usually cheaper than hotel prices and most come with their own kitchen, which is ideal if you feel like whipping up a Sunday roast dinner or making a stir-fry. Taxis are so expensive in foreign countries, and most people agree that they feel overcharged by taxi services for merely being a tourist. Always try to avoid using a taxi service when possible and opt for public transport instead. Or, you could get some exercise and walk to your destination or hire a bicycle. However, this will be more difficult if you’ve got a few suitcases to trail about. Buses and trains offer affordable means of transport, so make sure to take note of the schedule and make the most out of public transportation.